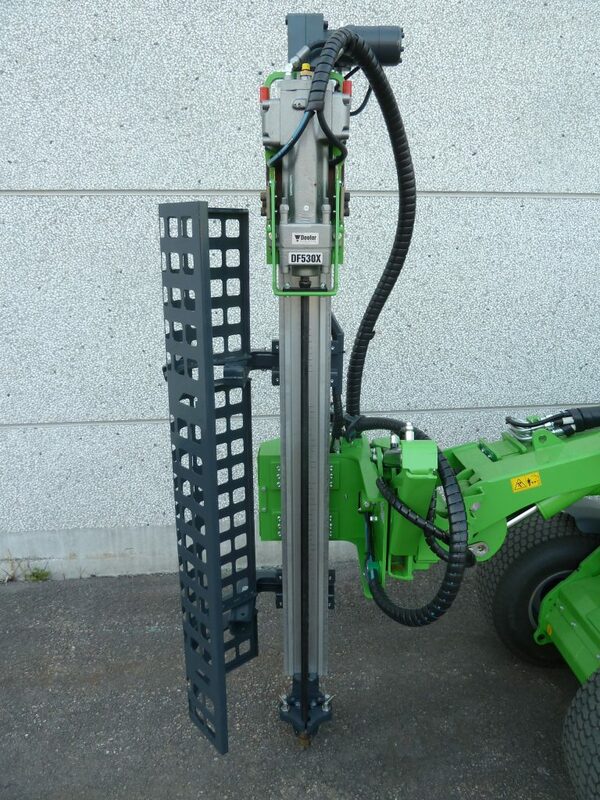 Doofor offers a set of supporting components for customers, which wish to build their own drill feed. 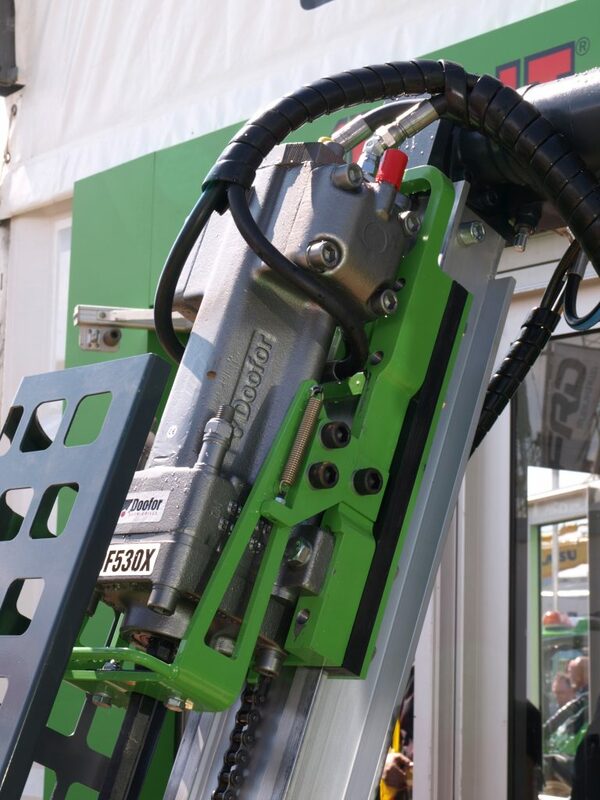 Base machines for such drill feed would be excavators, mini-loaders and skid steer loaders. 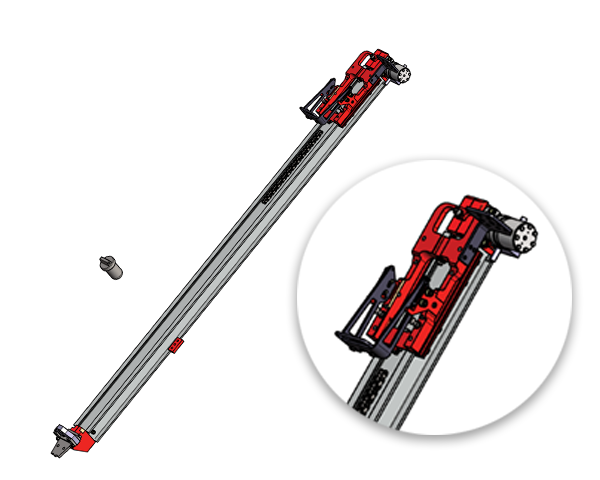 The component kit includes an anodized aluminum profile designed, carriage plate for the rock drill, feed motor, feed chain and housings for the feed chain. The ground support module, valve block and its casing and hoses are also pre-designed for convenient drill system construction. Protective cover for the drill steel is also available.